One thing is certain in life: You will die. Yet, many people don't want to talk about death because it's considered taboo. Even more taboo is the topic of money. So, if you want a real conversation stopper, bring up the financial side of death. And yes, there are costs associated with dying. But if you don't talk or plan for them, your death could cost your loved ones a lot of money. Here are money secrets about death no one talks about, why it's so important to do so and how to be prepared when death happens. Funerals can be expensive, and that might come as a surprise to most people, said Albert Chang, co-founder of Parting.com, a funeral cost comparison website. "Prices are also usually not advertised in commercials, so the funeral pricing wouldn't even cross the mind of a typical consumer until they actually need it." To give you an idea, funeral homes charge $6,000, on average, for funeral services, according to Parting. You'll pay an additional $2,000 at the cemetery for burial, and another $1,000 for a grave marker or $2,000 for a headstone. Altogether, a funeral could cost $10,000 or more. 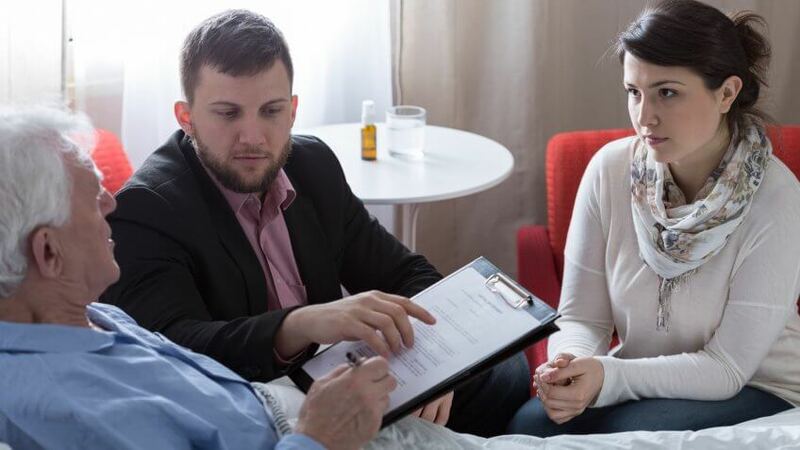 Your family could end up spending more than necessary if you don't put your final wishes in writing and discuss them with your family, according to the Funeral Consumers Alliance. For example, you might want an inexpensive casket, a simple service and a basic grave marker. But if you don't tell your family, they might spend thousands more than you would have wanted them to because they didn't want to appear disrespectful by opting for inexpensive options. The high cost of a funeral could even put your family in debt. When you're dealing with the emotional toll of a loved one's death, you might not think to check prices at more than one funeral home. After all, if you assume there's not much variation in price, you'd be wrong. "Many people don't realize how many options they have in their area," Chang said. 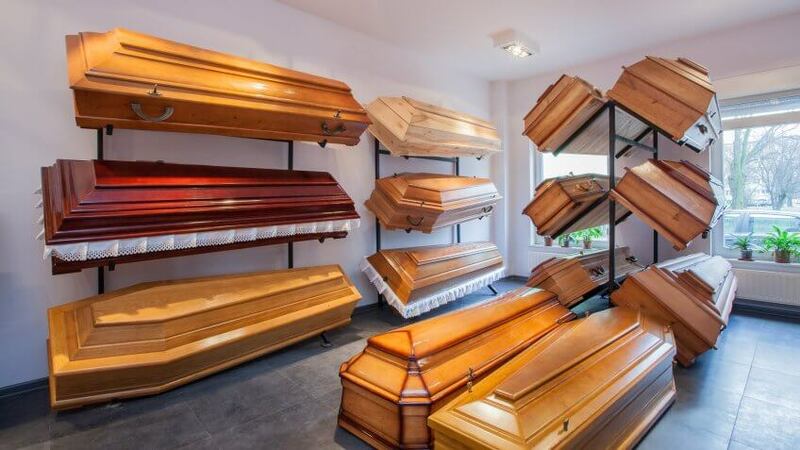 "Depending on how far you're willing to travel, prices can vary quite a bit, and funeral homes are generally very accommodating to your needs." In the past, getting pricing information required calling or visiting funeral homes individually. However, Parting spent a year gathering prices from funeral home across America and publishing them online. "Our website turned a three- to four-day process into something that can now be done in 15 minutes from the comfort of your own home," Chang said. You can search by city on Parting to find prices at funeral homes near where you live. 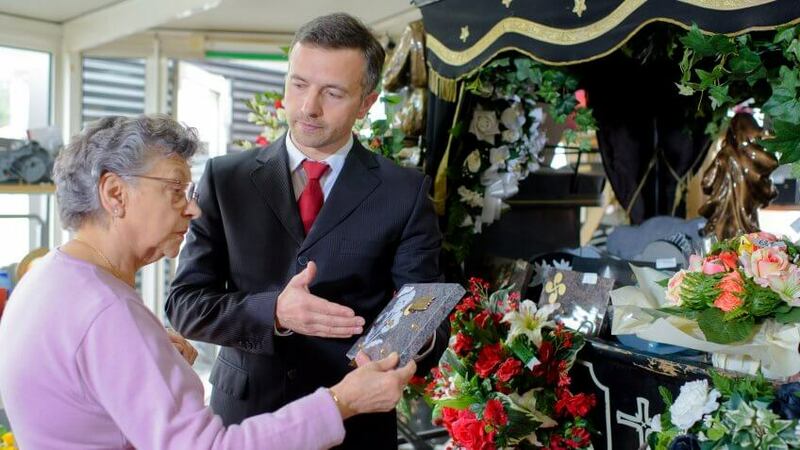 To make it easier for your loved ones, do the comparison shopping for them and let them know which funeral home you prefer. A funeral home might try to sell you a package deal, but you might not want or need everything that's included in it. "People should first understand what their options are because funeral home pricing is really dependent on the services provided," Chang said. For example, you might not need embalming and body preparation if you're not planning on having a viewing. That's a $600 expense you could avoid. Holding a service at the funeral home could cost up to $1,000, Chang said. But you might want to have it someplace else that's less expensive. Also, you don't always need to buy the grave marker, headstone or even casket from the cemetery or funeral home, Chang said. "Nowadays it is very easy to buy these types of things online directly from wholesalers or distributors," he said. 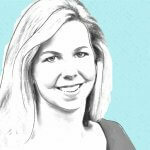 "This can easily help cut prices since the products can be exactly the same." You shouldn't feel pressured into having a traditional funeral for yourself or your loved one because you think that is what is expected — especially if you can't afford it. "Choosing between a full traditional burial and a cremation can easily swing the cost by $7,000," Chang said. "This is due to the additional services and merchandise required, such as transportation, pall bearers, caskets and much more." 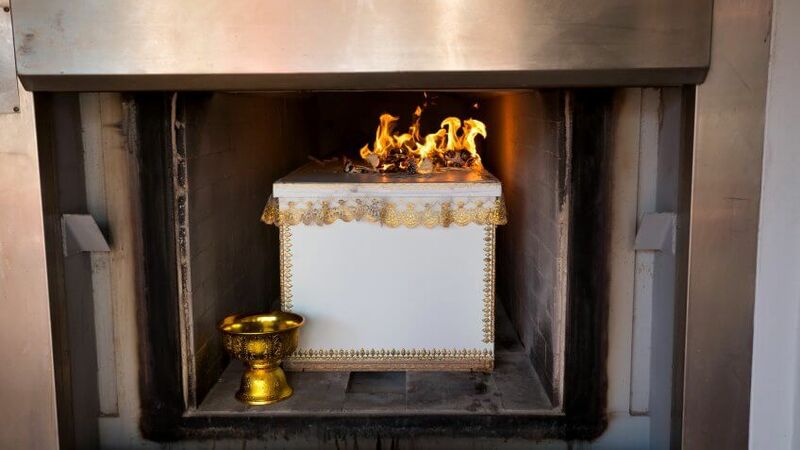 The most affordable option is a direct cremation — which can cost from $500 to $2,500, Chang said. The body is cremated without a service or viewing, and you don't have to buy a cemetery plot, casket or headstone. "Direct cremation prices are also more straightforward, as funeral homes should advertise the final price," Chang said. Another option is body donation if the donor qualifies medically. "Medical research companies will cover the entire cost of cremation, including transportation and returning the remains to the family if they are a viable donor for medical research," Chang said. Funeral homes and insurance companies offer prepaid funeral policies, which might seem like a good way to save your loved ones money on your funeral costs. But the Funeral Consumers Alliance cautions against buying these plans. Often, you will spend more on premiums than the policy will pay at your time of death. And if you die within a few years after getting a policy, the insurance company might not pay the full benefit. If you get a plan through a funeral home, you might not get a refund if you cancel your plan. Plus, there's always the risk that the funeral home could go out of business by the time you die. If you have debt in your name when you die, creditors will try to collect it. They won't come after your family members, said Danielle Mayoras, an attorney and author of "Trial & Heirs: Famous Fortune Fights." "Normally, the debt comes out of the estate," she said. When you die, there's a court process called probate that determines what assets and debts you had and what assets can be used to pay your debt. So only what's left after paying off your debts can be distributed to your family. If you're married and all assets are in your name, this can create financial problems for a surviving spouse if you die with debt. "Even if you've been married 50 years, if your spouse dies with assets only in his name, creditors can go after those assets," Mayoras said. "And you might not get everything you think you're going to get." To avoid leaving your spouse in debt after your die, there are a few things you need to do. Make sure that you have a joint bank account that is designated as payable on death to your spouse so he doesn't have any trouble accessing the account. 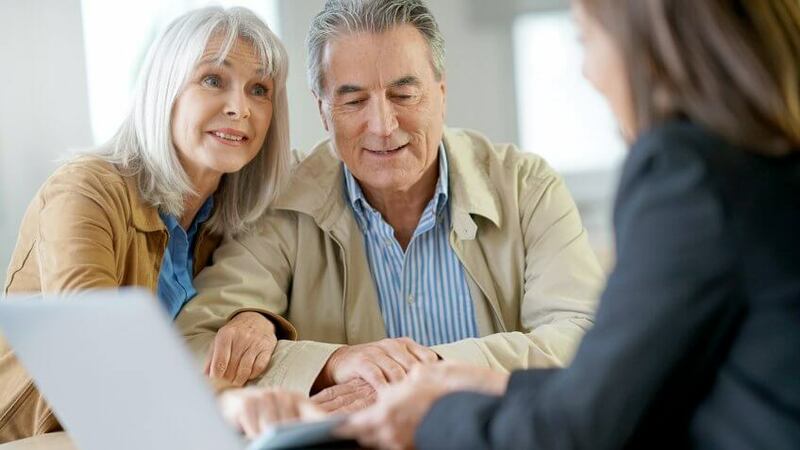 Having a life insurance policy and naming your spouse or family members as beneficiaries also can help cover costs after you die because life insurance benefits typically bypass the probate process. There is a chance your spouse, significant other or family member could be on the hook for some of your debt if you had a joint account, such as a credit card. 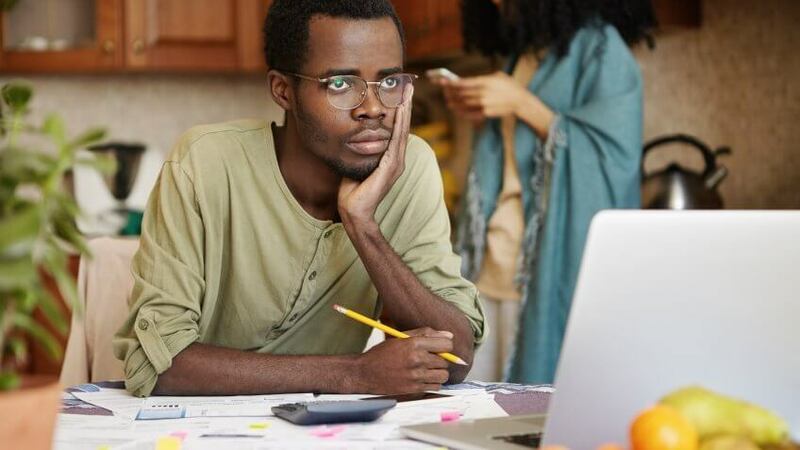 Also, your spouse might be responsible for your debts — even if they're only in your name — if you live in a community property state such as Arizona, California, Idaho, Louisiana, Nevada, New Mexico, Texas, Washington and Wisconsin. The probate process to divvy up your assets and settle your debts when you die can be expensive, Mayoras said. It can cost even more if you don't do the proper planning. However, people often don't want to spend the money to hire an attorney to create an estate plan for them. "When they don't do any planning or do the planning improperly, the family ends up paying the price," Mayoras said. "It can be a very large price." If you die without a will, the court will decide who gets your assets. This could lead to legal battles among your heirs if they don't think they got what you wanted them to receive — and that could cost tens of thousands of dollars in legal fees, Mayoras said. It's best to spend a few hundred dollars to have an attorney draft a will — rather than buy an inexpensive online version — to ensure it conforms to your state's laws, she said. If you do use an online form, take it to an attorney to review it. Even with a will, your estate still has to go through probate, which requires filing fees and inventory fees based on a percentage of the estate. 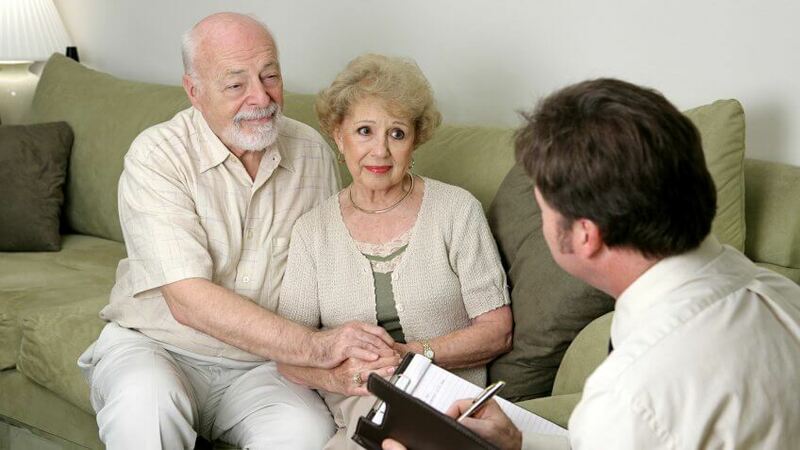 You can help your heirs avoid the cost of probate by creating a trust. And, no, you don't have to have millions or even hundreds of thousands of dollars to create a trust, Mayoras said. Hiring an attorney to create a financially sound estate plan with a living trust could cost up to $5,000 to $10,000, depending on how complicated your estate and tax planning needs are, Mayoras said. This can be a drop in the bucket, though, when you consider the cost of not planning, she said. "When people do a trust, they can hopefully save a lot of time and money down the road for their loved ones," Mayoras said. Try these anti-inflammatory foods to enhance your health.